In a rebroadcast of Sound Bites, we host with a young farmers and food justice advocates roundtable. Our panel of guests includes: Walker Marsh, Founder & Owner, The Flower Factory; Isabel Antreasian, Project Manager for Whitelock Community Farm; Sache Jones, Food Justice Consultant for Park Heights Community Health Alliance and Manager of the AFYA Community Teaching Garden in Park Heights; and Charlotte Keniston, current Open Society Institute fellow working in partnership with Paul’s Place on community-led interventions to address food accessibility in the Pigtown neighborhood of Baltimore. 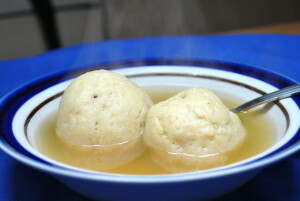 We close out with a segment based on an article from the City Paper: The search for Baltimore’s best matzo ball soup begins and ends at home. With: Evan Serpick, Editor of the Baltimore City Paper; and Myra Serpick, retired social worker and mother of Evan Serpick, who alleges that she makes the best matzo ball soup in Baltimore.